Rehoboth Beach Police arrested a Chesapeake, Virginia man in connection to a string of jewelry store robberies. REHOBOTH BEACH, DE. (WVEC) -- A 34-year-old man from Chesapeake, Virginia was arrested on Sunday in Rehoboth Beach, Deleware for a string of jewelry store robberies. Jack L. Boone was arrested after a Rehoboth Beach jewelry store owner recognized him as a possible suspect. The store owner reported that a recent customer resembled digital photos taken from other robbed store's surveillance videos. On the scene, officers began looking for the suspect, and they alerted nearby stores of the possible suspect. After entering a different jewelry store, located in the first block of Rehoboth Avenue, officers found the suspect. Once Boone was in custody, he gave police a fake name. 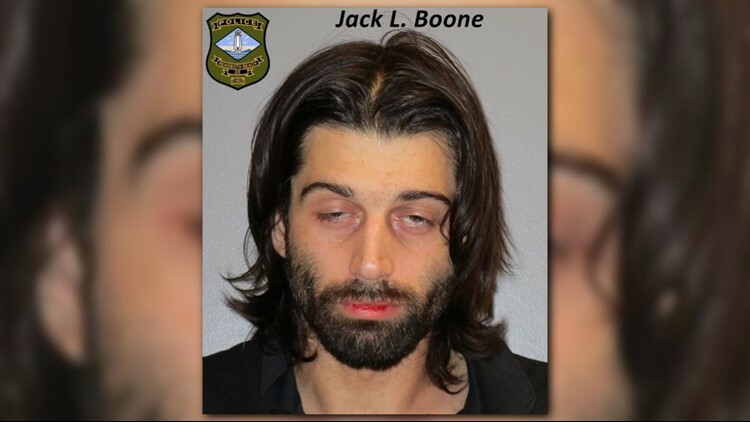 After further investigating, police learned Boone was a suspect of stealing jewelry from multiple stores in other jurisdictions throughout Delaware and surrounding states. Rehoboth Beach Police charged Boone with 1 count of criminal impersonation, a misdemeanor offense. He was committed to SCI on $1000.00 cash secured bail.